Looking to get more laughs than scares this Halloween? Well, we think that is a very noble and admirable act and we’d like to help you take a break from the horrifying monster costumes. 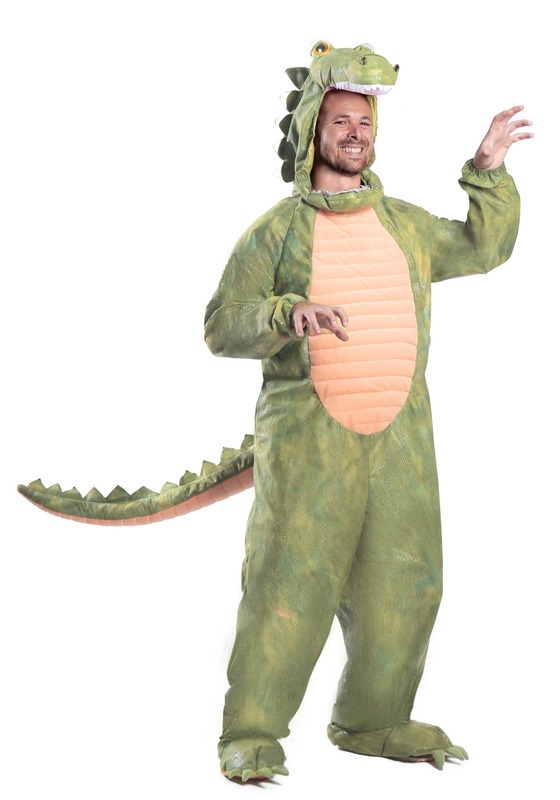 This year grab our Plus Size Alligator Costume! You’ll be the best of the best from the bayou. Introduce yourself as “Gator, Al Gator” to get the laughs started. Then have an alligator's favorite drink, a swamptini and hit the dance floor to show everyone how to do the bayou boogie! You’ll be the first gator that everyone is happy to see crash a costume party. Just watch out for anyone in animal control… they don’t take too kindly to wild alligators running around. Now then, with this fun and plushy jumpsuit, you will have everything you need to complete your reptilian transformation. There’s a long tail, a pair of shoe covers, and a soft-sculpted alligator hood all attached to this nifty one-piece. There are even details such as claws and teeth, and spikes all the way up the back of the costume. No need to worry about looking too frightening, though, because with the big ole belly and googley eyes, you will look like the friendliest gator to ever walk through anyone’s door! So if you’re ready to kill with some laughs this year instead of with scares, get your hands on this Plus Size Alligator Costume and let the fun begin. Add a level of hilarity to Halloween that no one else has ever achieved with the goofy outfit!